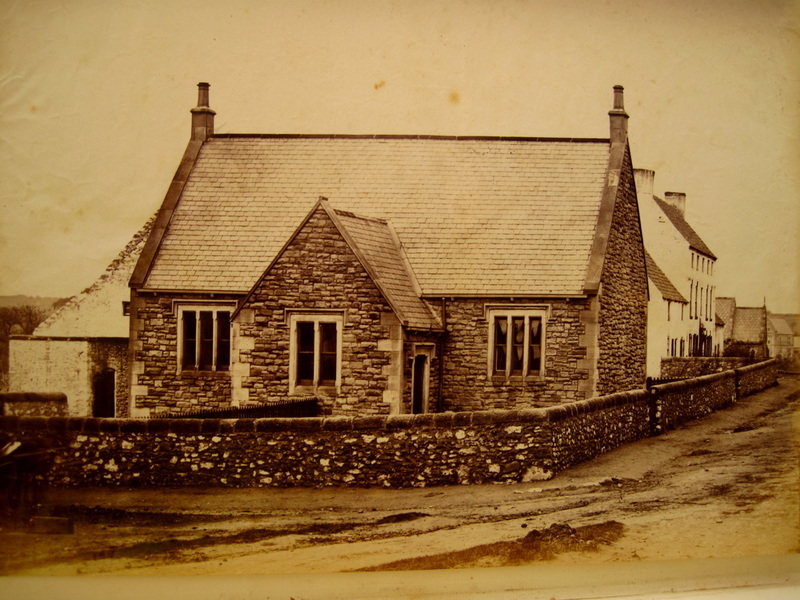 Built in 1862, the church was a gift to the Village of Hawthorn from Richard Lawrence Permberton, High Sheriff of County Durham and also a Magistrate. He and his wife and family lived locally in Hawthorn Towers (see end of page). 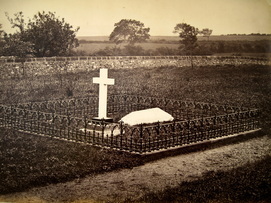 The Pembertons were wealthy land and coalmine owners who had interests both in County Durham and in Wales. 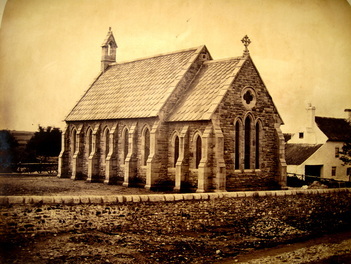 St Michael & All Angels under construction. Here on the left, we can see the church under construction. No altar is yet in place and it's interesting to note the tiled panel frieze which went all around the church interior. Today the only tiles remaining are in the church porch. 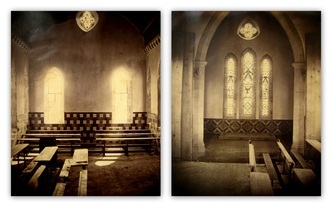 Finished interior (left) showing an Eagle lectern and altar with decorative cloth. 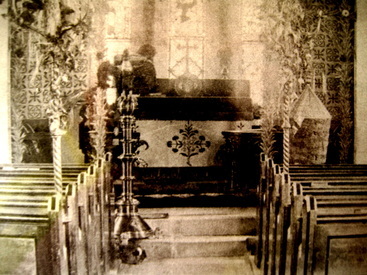 This picture appears to have been taken at Harvest Festival as there are sheaves of corn decorating the front pews. 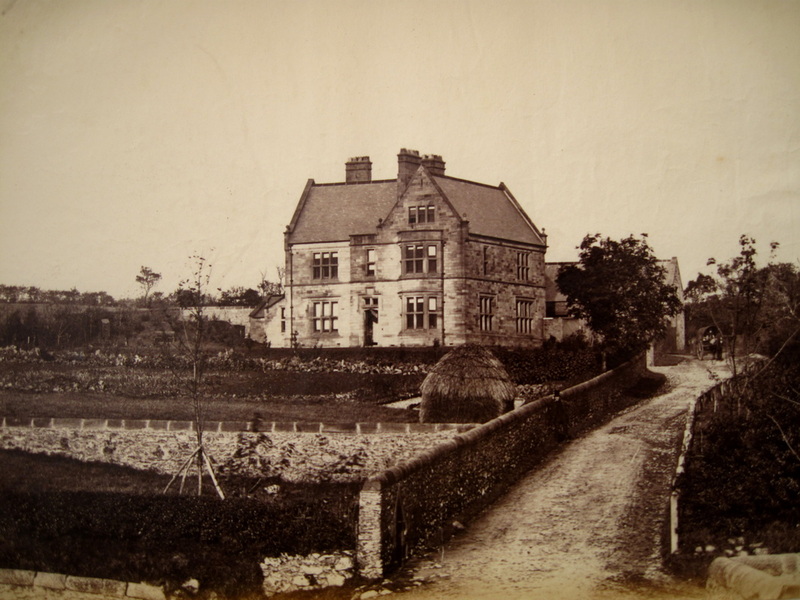 Contemporary with the church, the Pemberton family also gifted a Rectory (left) and a School (right) to make the village complete. 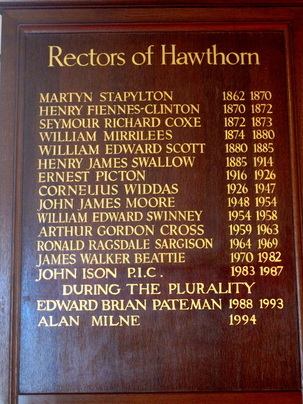 The Rectors of Hawthorn church from 1862 to the present day. 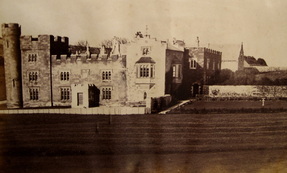 Hawthorn Towers, the Pemberton family seat. Designed by well known local architect John Dobson in 1821, the Pembertons bought this property in the late 1850s and are listed as occupants on the Census of 1861. They remained in residence until about 1910. During WWII Hawthorn Towers was used by the Military and Home Guard. In 1949 the Pemberton Family sold it and sadly its state declined thereafter. Several arson attacks took their toll on the building and it was finally demolished in 1969 after part of the structure collapsed and a boy was killed. Today, no evidence of it remains.